If you have a guest account, learn how to activate your account, sign in, and upload and download your files. Guests are individuals with whom a SmartVault user wants to share documents. Guests can upload and access files through the SmartVault portal, inbox, and mobile app. Typically, an accountant invites their clients to access important tax forms in SmartVault as a Guest user. This ensures that each client can only access their own tax forms in their vault. Note: In order to activate your guest account and access SmartVault, you must have your account administrator invite you. If you have not received this invitation email, reach out to your account administrator and ask them to invite you. 1. Open your activation email from SmartVault. 2. Click SmartVault Activation Link. 3. Enter your phone number and password. Note: The rest of your information is already entered by default. 4. Click Create My User. 2. Enter your email address and password you used to activate your guest account. Note: If you have forgotten your password, click Can't sign in? 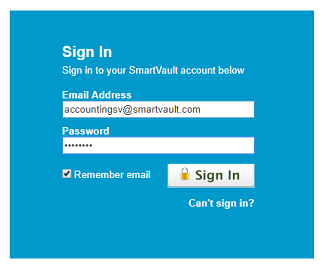 Log in to your SmartVault account and navigate to the folder where you would like to upload your files. In the example below, we are uploading a 2017 W-2 form requested by your CPA into the Client Source Documents folder. 1. Click on your vault. 2. Click the tax year folder TY17. 3. Click the Client Source Documents folder. 4. Click browse to browse for the file or drag and drop it into the window. 5. Click Close. A confirmation message appears. Your accountant will automatically be notified whenever files are uploaded to your folder, so you don't have to let them know. 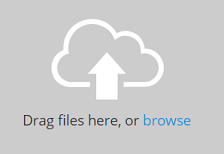 Log in to your SmartVault account and navigate to the folder containing the files you want to download. In the example below, we are downloading a 2017 tax return that your CPA has sent. 3. Click on the tax return PDF to view it in the browser. 4. Click Download to download the tax return to your computer (optional).